Download the very latest and comprehensive UK list of Postcodes - that's every one of the 1.8 million Postcodes covering England, Scotland, Wales and Northern Ireland. In addition the list will be updated quarterly within the licence fee. All Postcodes are taken from the definitive central Royal Mail database so are the very latest iteration! The Text CSV (Comma Separated Variable) file is delivered via an instant download link once you've completed your order. Text based files are easily opened with Microsoft Excel or Access, Notepad etc. A comprehensive Postcode to County Name list based on Royal Mail and Ordnance Survey licenced data tables. Quarterly updates are included during the licence period. The Royal Mail no longer maintains the County to Postcode table (they stopped several years ago as the County field isn't actually a recognised nor postal required field. On this basis, our variation is the only up to date and current file available in the UK. The Text CSV (Comma Separated Variable) file is delivered via an instant download link once you've completed your order. Text based files are easily opened with Microsoft Excel or Access, Notepad etc. Looking for a FREE list of UK Postcodes? We've compiled an Excel download for you to use. Please note that although the list covers every postcode area in the UK, it only shows the first part of every UK Postcode (Postcode Areas and Postcode Districts e.g. UB7). If you need the full postcode see "UK Full Postcode" option above. The Text CSV (Comma Separated Variable) file is delivered via an instant download link once you've completed your order. Text based files are easily opened with Microsoft Excel or Access, Notepad etc. Grid References, Coordinates, X&Y's etc. Looking for a Postcode file that also has Eastings Northings, X&Y, Grid References, Coordinates, Longitudes Latitudes? This 1 meter to 100 meter POI is updated every three months and the update will be sent to you as part of the licence fee you pay (no additional cost to you). The file's ideal for Google or other software mapping applications. Great for plotting customer locations, logistic planning, territory management etc. The Text CSV (Comma Separated Variable) file is delivered via an instant download link once you've completed your order. Text based files are easily opened with Microsoft Excel or Access, Notepad etc. Our Postcode to Parliamentary Constituency table provides the latest link between historic yet current & functional Wards and their respective Parliamentary Constituencies. This is the most current iteration of the file, including the latest redistribution / alignment of postcodes. The Text CSV (Comma Separated Variable) file is delivered via an instant download link once you've completed your order. Text based files are easily opened with Microsoft Excel or Access, Notepad etc. London Borough Postcodes, Metropolitan Boroughs and Non-Metropolitan Districts are divided into Wards for local elections. The City of London has its own type of Wards based on ancient and permanent sub-divisions of the City. The Free Postcodes List is a perfect reference tool for the Postcode geography of the UK. 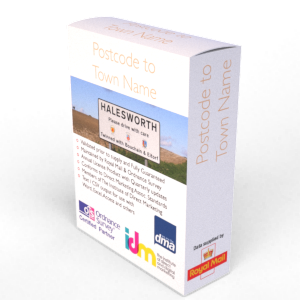 The list contains 124 Postcode Areas (with Post Town) and almost 3,000 Postcode Districts. UK Postcode Boundaries in KML format; this is a geographic polygon file showing the areas for Postcode Sectors, Districts and Areas in the UK. This file requires the use of a Geographic Information System (GIS) such as MapInfo, Arc Info or Google Maps to view the boundaries. File formats available include: DXF, KML, MIF/ MID, SHA and KMZ. The Postcode Boundary Map of the UK in PDF format is a perfect reference tool for the Postcode geography of the UK. The map shows the 124 Postcode Areas of the UK and can be used for broad national Postcode reference or planning national marketing campaigns and sales territories. The Postcode Database contains all 1.8 million UK Postcodes including the last two digits of the postcode (Postman's Walk - example UB7 7EB). The England Postcode List contains every postcode in England including the last two digits of the postcode (Postman's Walk - example UB7 7EB). Localities are geographic place names which have no physical boundary defined but are used locally to differentiate different areas of the same larger town. Royal Mail do not require the use of all Locality names in the UK for the effective delivery of Post, however locals and visitors to an area will know and refer to these place names often. These place names are often seen on maps and signs. Place Names / Localities are geographic place names which have no physical boundary defined but are used locally to differentiate different areas of the same larger town. Royal Mail do not require the use of all Locality names in the UK for the effective delivery of Post, however locals and visitors to an area will know and refer to these place names often. These place names are often seen on maps and signs. The Postcode Lookup file is without any contention the definitive most up-to-date and complete address database in the UK. There are two product options: the UK file which has every address and postcode in the UK (28 million addresses both business and residential) OR just the addresses in your postcode area, which is the cheaper more address specific / smaller file. The Postcode Map of the UK in PDF format is a perfect reference tool for the Postcode geography of the UK. The map shows the 124 Postcode Areas of the UK and can be used for broad national Postcode reference or planning national marketing campaigns and sales territories. The Scottish Postcodes List contains all Scottish Postcodes including the last two digits of the postcode (Postman's Walk - example EH7 7EB). Royal Mail's Search Postcode file gives you EVERY address in a single postcode area (UB Uxbridge, B Birmingham, CV Coventry etc.) or EVERY address in the UK (business and residential). The Welsh Postcodes file contains all Welsh Postcodes including the last two digits of the postcode (Postman's Walk - example CF1 7EB).